Samsung has called for a multi-stakeholder intervention in Uganda to stop the spiralling problem of counterfeit mobile phones. The push for a clampdown comes months after Samsung helped Kenya switch off fake handsets. In the wake of the shutdown, the mobile phone industry has pushed other East African governments to take action against the fakes that threaten a major business opportunity. "There are challenges towards implementing this policy in Uganda but we believe a robust discussion needs to be started immediately between handset manufacturers, telephone operators, the regulator, government bodies and consumers. 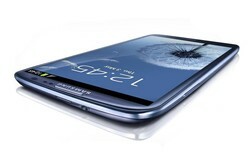 Otherwise the situation gets worse," said Amos Mugalo, country manager at Samsung. Speaking to CAJ News Agency, Mugalo said Samsung is offering a 24-month guarantee on its handsets in an attempt to tempt consumers away from cheaper fake alternatives. The offer is one of several actions taken by Samsung in Africa this year to encourage people to switch from counterfeit to genuine handsets.